Replacing your teeth with custom dentures ensures the most natural look and comfortable fit possible. The team at Denture Design Studio in College Place, Washington, which also serves people in and around Walla Walla, has over 30 years of experience in designing, making, and repairing dental appliances. If you’re looking for high-quality custom dentures, call Denture Design Studio today. As the name implies, custom dentures are personalized, handcrafted partial or full dental appliances that replace missing teeth. 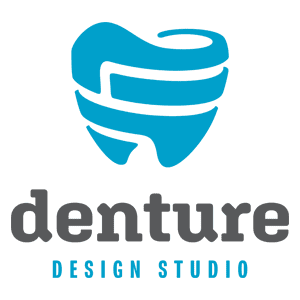 Denture Design Studio’s quality craftsmanship ensures they not only improve the way you eat, drink, and speak, but have a customized fit that enhances your appearance. How are custom dentures made? Denture Design Studio makes custom dentures on-site by a licensed denturist with more than 30 years of experience. During your first visit, the team takes impressions of your teeth and gums to create a model of your mouth. This ensures the accuracy of the fit and function of your custom dentures. The Denture Design Studio team works closely with you while making your dentures to ensure the best results. This allows for proper fitting, bite alignment, and optimal appearance of your custom dentures. How do you care for custom dentures? If your custom dentures get damaged, contact Denture Design Studio immediately for denture repair. What can I expect from custom dentures? Denture Design Studio uses high-quality materials and innovative design to fabricate your custom dentures. Adjusting to custom dentures can take a little time, but Denture Design Studio provides instructions for making the transition as smooth as possible. While you’re getting comfortable with your custom dentures, adjustments might be necessary to improve their fit. Call Denture Design Studio to schedule your free custom denture consultation.